An international team of researchers have discovered the living cells of a mammoth in Russia's northeastern republic of Yakutia, sparking off speculations about the possible mammoth cloning in the future, reports say. "In a unique area at the depth of about 100 meters we discovered some rich material for research - soft and adipose tissues, fur and bone marrow of a mammoth," Semyon Grigoryev, chief of the Yana-2012 expedition, reports RIA Novosti. The Yana-2012 team consisted of scientists from Russia, South Korea, America, Canada, Britain and Sweden, and they conducted the expedition between August 9 and September 5 in the Ust-Yansky region of Yakutia in Russia. South Korean researcher Hwang Woo-Suk has already expressed interest in the discovery. According to media reports, Woo-Suk has claimed to have created the world's first clones of dogs and coyotes. 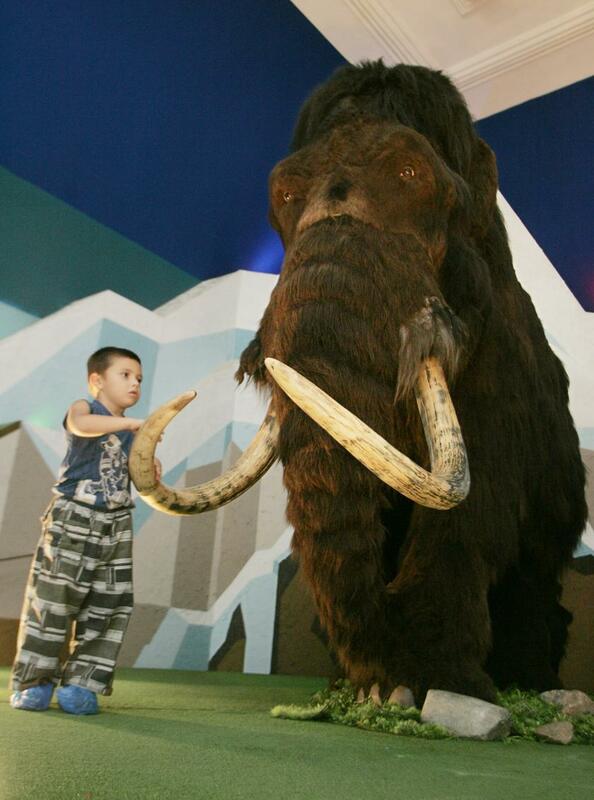 However, experts from the Russian Academy of Sciences have expressed doubts over the discovery of mammoth's living cells. "The cell structure with nucleus can be preserved under special conditions in deep-freeze," said Alexander Agadzhanyan, from the Institute of Paleontology, Russian Academy of Sciences, to RIA Novosti. "So far, scientists have not been able to find even a full DNA chain in mammoth fossils, not to mention living cells," Agadzhanyan added, according to Russia Today. Agadzhanyan also said that the term "cloning" is inappropriate to use in this context because cloning happens when an organism is reconstructed from somatic cells while what the scientists want to do now is to combine mammoth DNA to an elephant's egg cell. The discovered material will be sent to Seoul, South Korea, where the scientists will determine whether or not the material has any living cells, Russia Today reports.